Johnson Plumbing SA is located in Port Elliot and is a leading plumbing & gasfitting business servicing the Fleurieu Peninsula. Owner Tim Johnson has over 12 years’ experience in the Plumbing & Gas fitting Industry. 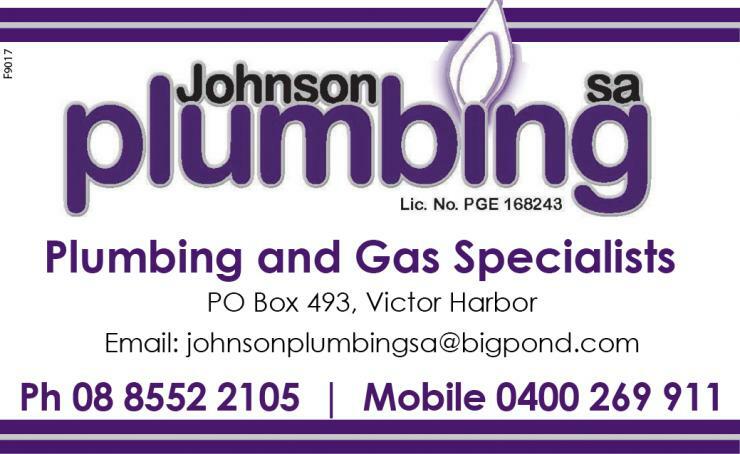 Johnson Plumbing SA Specialises in all your Plumbing & Gas Requirements. 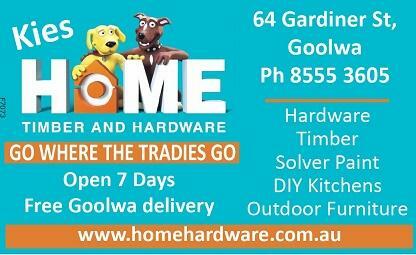 Kies Home Timber & Hardware is your family-owned and operated hardware specialist in Goolwa. Go where the local tradies go with a wide range of hardware items to help not only tradies but also the do it yourself builder or home maintenance amateur. Kies Home Timber & Hardware is part of the Home Hardware group and can offer great prices due to the group’s strong buying power. 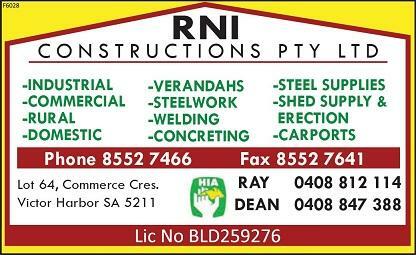 For your next steel engineering project use RNI Constructions. We can undertake an extensive range of projects and have a wealth of knowledge & experience to back it up from the concrete slab to the roofing iron and everyting in between.